This dog is about to see a ghost. He doesn't know it yet. So, he's stationed, adorably, at the bottom of the stairs bristling with anticipation. HOLYSWEETJEZUS It's the Stay Puft Marshmallow Man. 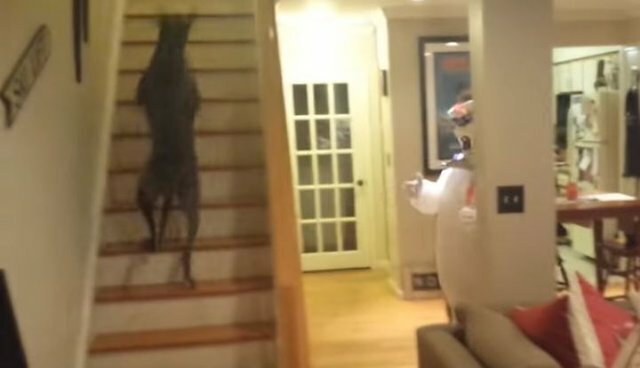 In this mesmerizing video, posted on YouTube, the massive Great Dane flees in terror from the phantom of the stairwell. 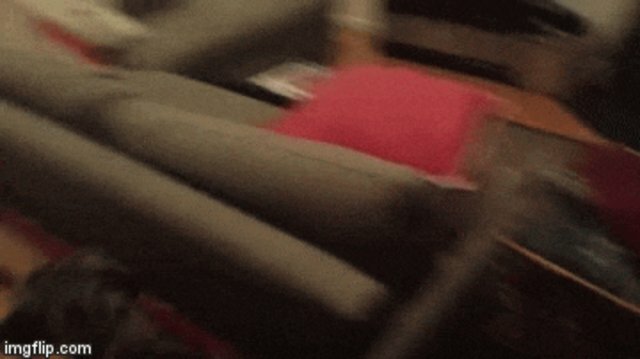 First, he gallops to the couch. 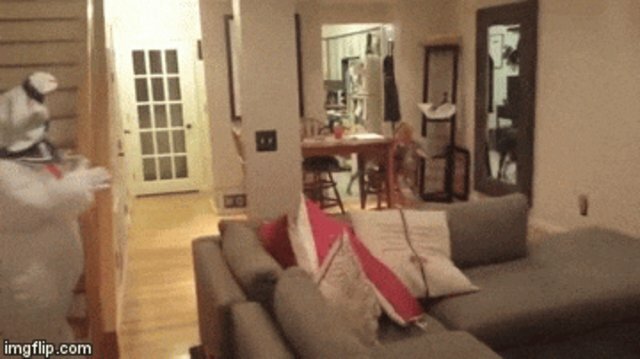 He tears into the kitchen. 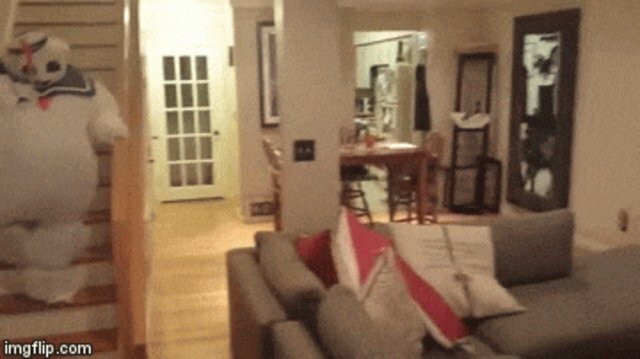 Luke emerges from the kitchen, leaps over the couch, spins in circles. Nothing seems to stop the Marshmallow Man. Luke gets around the ghost and flies to the top of the stairs. But there's something familiar about this ghost. Luuuuke, the Stay Puft Marshmallow Man seems to suggest, I am your mother. Oh. Cool. It's just mom.